The Vlerick Group’s industrial activities centre on the textile and metal-engineering industry. These activities are usually carried out with trusted partners who share the same long-term vision. The group invariably works closely together with the respective companies’ management. B.I.C Carpets, founded in 1956 by Lucien Vlerick and his wife Thérèse Van de Wiele, is a manufacturer of high-end woollen carpets. It lies at the root of the textile activities of our group. B.I.C., an export-oriented company, produces woven carpets as well as hand tufted rugs in Belgium as well as in Portugal via its subsidiary Beiriz II. It caters primarily to retailers, as well as to developers of prime hotels and office space directly. Additionally, it is a preferred supplier of the aviation industry. In 1975 it achieved international fame in the world of design and high-end floor covering via its iconic flagship product, the STONE. In 2001 the Vlerick Group delisted Uco, a manufacturer of cotton-based textile products located in Ghent. Subsequently, a merger was agreed upon between the denim activities of Uco Sportswear and Raymond, a leading player in the Indian textile industry. The resulting 50/50 joint venture has a combined annual capacity of about 50 million meters in its Asian and European production units. In addition to its yarn and fabric manufacturing facilities, Uco Raymond also operates a garmenting facility in Bangalore with an annual capacity of circa three million pairs of jeans. In 2008 the Vlerick Group incorporated its Uco LDC activities into Concordia Textiles, and thereby joined Concordia’s family shareholders. Concordia develops and produces textile solutions for selected professional markets and is the European market leader in synthetic, filament woven fabrics for technical applications. The company has production facilities in Belgium, Spain, Germany and China. In 1998 Uco Home Textiles merged with Arguel, a company located near Montpellier. When taking over Uco, the Vlerick Group also acquired a participation in the French company which specialises in table linen and decoration fabrics. Arguel’s main and most well-known product line is its exclusive VENT DU SUD collection, the designs of which reflect the bright and warm colours of the Provence. In 2004 the Vlerick Group joined forces with the existing family shareholders to facilitate the delisting of the BMT Group. BMT is a family-owned industrial holding company consisting of a gears division and a glass division. Its gear division is active in high-precision machining of gears and transmission via its wholly-owned subsidiaries IGW, VCST and BMT Aerospace. Its glass division predominantly specialises in the manufacturing of moulds for hollow glassware via its subsidiary Omco. BMT has over 6,000 employees and production facilities in Europe, Asia and North America. In 2001 the Vlerick Group invested in LVD, joining the LVD group’s existing family shareholders. 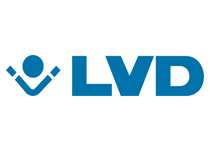 The LVD Company is a leading manufacturer of sheet metal working machinery such as punching machines, laser cutters, bending-off presses and guillotine shears. It additionally provides complementary programming software. During the last decade LVD expanded internationally with production facilities in both Western and Eastern Europe, China and the US. The Vlerick Group is historically linked to Corelio, in which it participates. Philippe Vlerick moreover acts as vice-president of the board of directors. Corelio is the majority shareholder of Mediahuis, which resulted from a merger in 2013 of Corelio’s and Concentra’s newspaper and publishing activities. Mediahuis is the largest newspaper group in Belgium and a leading multimedia group in the Benelux, owning several Belgian newspapers: De Standaard, Het Nieuwsblad, Het Belang van Limburg and Dutch newspapers: NRC, De Telegraaf, De Limburger.